A criminal record is something that will stay with you always. In Wisconsin, those records are accessible by the public through the WCCAP system, allowing any employer or anyone else to check on any charges or convictions you may have. It can affect your employment, your ability to rent a home, your entrance into the military and even your future education. Attorney Nelson can assist you in your criminal defense. His knowledge of the criminal system can help you reduce those charges or get them dismissed altogether. Drew has handled complicated felony cases, misdemeanors, OWI’s and traffic offenses. How your case is managed, and its outcome is critical to your future. Not only can the forfeitures be crippling to your economic situation, but the possibility of incarceration and probation can be detrimental to your family. The sooner you have assistance on your side, the better your criminal defense will be. A call to the office as soon as possible after an arrest, will allow Drew to argue for a lower bond at your initial appearance, giving you greater chances to be out of jail to assist him with your own defense. If necessary, a private investigator can be employed to help get to the bottom of your case. Drew is prepared to handle cases in Polk, St. Croix, Dunn, Pierce, Washburn, Burnett, Eau Claire, Buffalo and Pepin counties. With his assistance on your criminal matter, you can be assured that it will be handled swiftly, professionally and competently. A good criminal defense lawyer is your best option for the best outcome. Running a municipality is difficult on a good day, but it can be more complicated when you run into legal issues. Our local municipalities are run by local people from all walks of life, but not many of them have legal backgrounds. Legal complications are rearing their heads in every day decisions from employment to natural disasters and simple traffic accidents. Attorney Lindquist has been assisting municipalities for many years in handling these every day decisions. When you can understand the legal consequences of your decisions it helps in lessening the liability to your neighbors and friends. 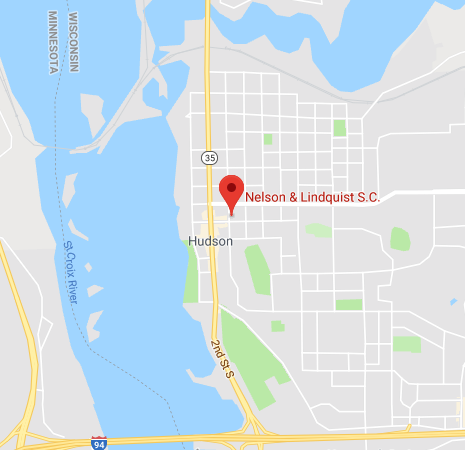 Following the ever changing laws and applying them to your municipality is a challenge that Attorney Lindquist enjoys. Municipal Court is another system that can be difficult to navigate without the assistance of local counsel. When you have your own police department, and your own ordinances, it helps to have your own Municipal Court. This assists your municipality financially by keeping a percentage of the forfeitures in the municipality, provides your officers the opportunity to testify locally and keep the offenders answering to their local peers. Attorney Nelson, with his criminal defense experience, assists your law enforcement and court officers in running a smooth court room. He trains your officers on writing proper reports, assists your municipal clerks with subpoenas and court orders and even helps your judge to understand the local ordinances and rules of evidence as they apply at a trial. By getting the assistance of an attorney at the front end, lessens the need for an attorney to fix a mistake down the road. There are many difficulties and responsibilities to manage when there is an unexpected death in the family. 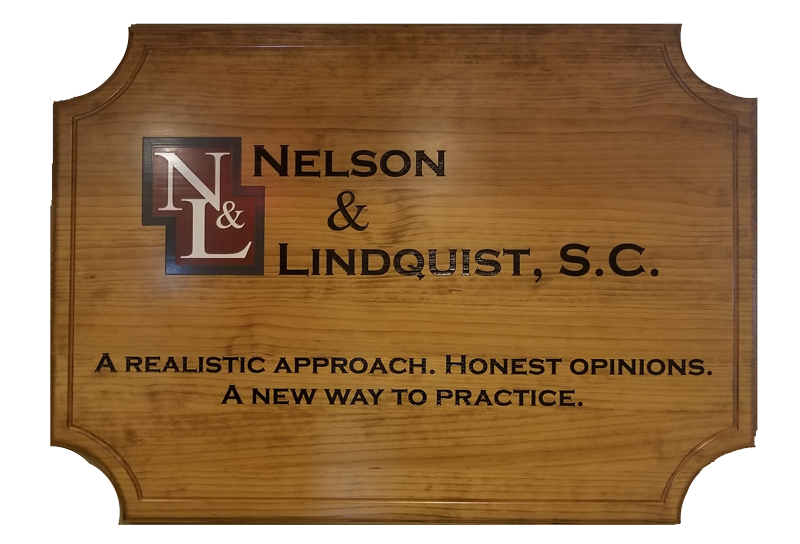 To help prepare for this important responsibility, consider a consultation with Attorney Nelson to get the proper Estate Plan in place for your family. In Wisconsin if you die without a will, your “estate” is handled intestate- meaning being distributed through the statutory definitions of your heirs. This can be very complicated and consequences that you did not foresee, especially for mixed families where one or both of the spouses have children from a previous relationship. Most people don’t know that their estate is going to be distributed in those circumstances ½ to their spouse and ½ to their children from their previous relationship. With a proper estate plan, those complications can be avoided, and you can dictate the distribution of your estate. Your money, your family, your terms. Powers of attorney have become very necessary with the medicine of today as well. If you do not want to be kept alive by machines or want your organs donated to assist others, there is only one way to ensure that happens, assigning a power of attorney. Drew can help you choose the right person for that job. He will walk you through the pros and cons of deciding who should be left in charge of your final wishes. Additionally, he can help you decide if a trust is necessary to protect your family’s interests. A trust is an independent owner of your assets and can help your preserve your estate for future distributions. Drew will educate you on the responsibilities of a trust and discuss whether or not that is something you should consider to protect and preserve your estate. A good estate plan is your best investment in the future of those you love. Civil Litigation encompasses many different aspects of the law; contract law, tort law, landlord/tenant issues, small claims litigation, employment law, insurance disputes and civil rights violations. In Wisconsin, each aspect is unique and requires a different process and procedure to reach the end result. Attorney Nelson enjoys the challenge that each situation brings. A civil lawsuit can feel like it encompasses all aspects of your life. Having the assistance of counsel can help ease your mind as you attempt to work through the system. Whether you are the plaintiff or defendant in any of these situations, Drew can help you reach a resolution that works for you. As in most litigation, many individuals get caught up in the emotional and personal strife that brought them to this situation, where the assistance of counsel helps you see outside the fog of litigation and focus on a realistic resolution. Drew has handled cases for: landlords and tenants, plaintiffs and defendants, employers and employees and has even taken some of these cases to the Court of Appeals, in addition to taking on insurance companies in a number of house fire cases. His experience in handling these civil litigation matters will ensure you the best possible result with the least amount of hassle.